Home Secretary announces £40 million package of government measures to protect children and young people from sexual abuse. The Home Secretary has today (16 February) announced the delivery of a £40 million package of government measures to protect children and young people from sexual abuse, exploitation and trafficking, and to crack down on offenders. It includes the launch of a new Centre of Expertise on child sexual abuse, an extra £20 million for the National Crime Agency to tackle online child sexual exploitation, £2.2 million for organisations working to protect children at risk of trafficking and the launch of Independent Child Trafficking Advocates (ICTAs) in 3 early-adopter sites across the UK. Amber Rudd announced the measures after visiting Safer Futures in Salford, Greater Manchester, a counselling centre for victims of child sexual exploitation and abuse. The counselling centre is run by Barnardo’s, which heads the Centre of Expertise and delivers the ICTA service. Children should be able to grow up free from the horrors of sexual abuse, exploitation and trafficking. Something that should go without saying, but sadly that’s not the case. This government has done more than any other to tackle these horrific offences. We have increased support for victims of sexual abuse, invested in training and technology to improve law enforcement’s response to abuse both on and offline, and brought in a tougher inspection regime to ensure all front-line professions are meeting their child protection duties. But there is more to do, the measures I am announcing today will further improve our ability to protect children, and under my watch I am determined to bring those that would try to steal their childhood to justice. The Centre of Expertise, a consortium of health, law enforcement and social care professionals, charities and academics, will receive £7.5 million until 2020. It will become the definitive source of information and guidance to those tackling child sexual abuse and exploitation on the front line. 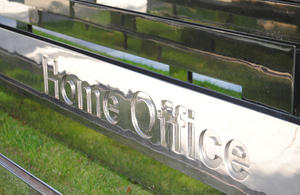 The Home Office’s child trafficking protection fund will today award nearly £2.2 million to seven charities for projects protecting vulnerable children in the UK and overseas who are at risk of trafficking. The projects cover a range of proposals including tailored support for trafficking victims from various cultures, developing skills and expertise in local areas, and a specialist accommodation pilot. Independent child trafficking advocates will provide specialist support and act in the best interests of trafficked children. The service will initially be provided by Barnardo’s in Wales, Hampshire and Greater Manchester ahead of full national roll out. Through the Centre of Expertise we will develop a deeper understanding of this abuse so that more children can be protected and helped to recover. We will use our collective experience and expertise to develop a greater understanding of what works in the fight against child sexual abuse and to improve responses. And thanks to the roll-out of the independent child trafficking advocates, trafficked children in Hampshire, Greater Manchester and Wales will no longer have to navigate their way alone through complicated statutory systems including health, social care, education and criminal justice, to get the support they need. Using the previous government funding we have been able to nearly double the number of dedicated officers working to tackle CSE to more than 300, opened a new hub in the north west to specifically undertake CSE operations and more than tripled the overall organisational effort against CSE. The additional funding will strengthen and enhance our victim identification and child protection adviser capabilities, to target the most serious child sexual exploitation offenders. The announcement comes as the government publishes its tackling child sexual exploitation: progress report, detailing the steps taken so far and what more needs to be done to combat this terrible crime. It follows the 2015 tackling child sexual exploitation report which set out an ambitious programme of work to address on a national scale the failures to protect children and young people seen in Rotherham and elsewhere.